The form authentication ticket is used to tell the ASP.NET application who you are. Thus, the ticket is the building block of Forms Authentication’s security. The ticket is encrypted and signed using the “machineKey” configuration element of the server’s Machine.config file. ASP.NET 2.0 uses the decryptionKey and the new decryption attribute of the machineKey element to encrypt forms authentication tickets. The decryption attribute lets you specify the encryption algorithm to use. ASP.NET 1.1 and 1.0 use 3DES encryption, which is not configurable. Tampering with the ticket value is determined by a failure to decrypt the ticket on the server. As a result, the user will be redirected to the logon page. To be a secure programmer, you must know how to protect your code and make it secure against vulnerabilities. 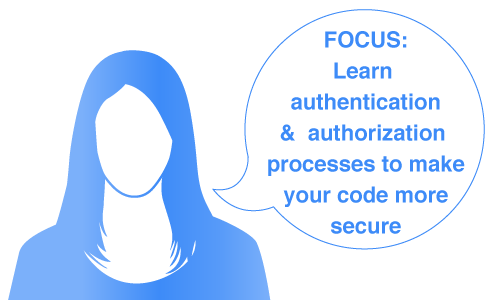 To provide security to form your authentication ticket you must know the authentication and authorization processes. Each subscription provides 6 months access to 68 Different Exercises. Each exercise contains a Scenario, Objectives, and individual step by step tasks to guide the user through all steps necessary to complete the exercise. 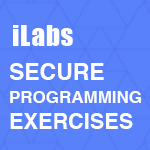 The Secure Programming Exercises are designed to give the user an ultimate hands-on experience. Each exercise category above has it’s own Virtual Private Cloud that comes preconfigured with Vulnerable websites, Victim Machines, and the environment is LOADED with tools. Included in your network share are all the supporting tools required to practice in the Cyber Range / Lab environment.